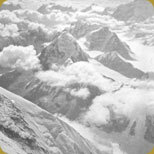 In 1921 The Royal Geographical Society (RGS) and the Alpine Club jointly formed the Mount Everest Committee, Chaired by Sir Francis Younghusband (Younghusband, Sir Francis The Epic of Mount Everest (ISBN 0-330-48285-8, reprint 2001). Its purpose was to organise an expedition to carry out a reconnaissance of the Everest region and to determine by which route the mountain might be climbed. 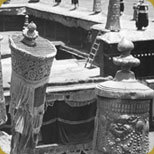 The study would take place from the north on the Tibetan side of Everest as Nepal was closed to westerners. The expedition was, if circumstances and time allowed, to climb the mountain. If unsuccessful in this second objective a full-scale expedition, armed with the information gathered, would return the following year to complete the task. The reconnaissance expedition in 1921 led by Lieutenant Colonel Charles Howard-Bury gave rise to the first detailed map of the north side of Everest, produced from the photographs, sketches and measurements taken. 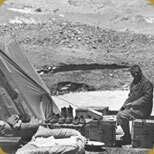 The following year, 1922, a second expedition, to be led by General Charles Bruce, was organised by the Mount Everest Committee. On this they reached a record height of 27,300ft / 8,321m on Everest’s North Face before turning back. 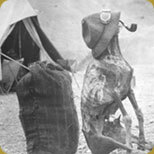 View the Everest 1924 Expedition strategy papers. View the route on a section diagram detailing places and altitudes. View the route map part 1 (part 2 is missing).